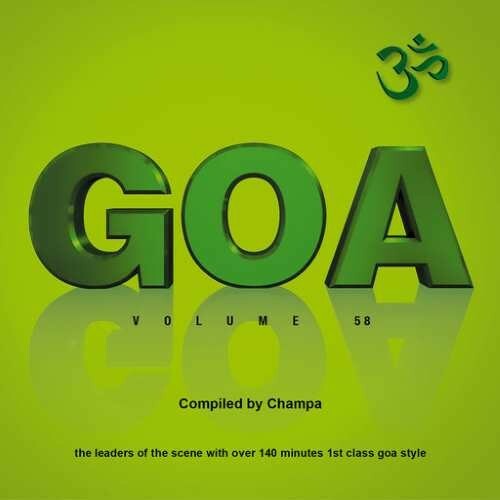 Yellow Sunshine Explosion has come up with edition 58 of the Goa Vol Series compiled by Champa also known as DJ Prozak. This double CD pack is a very carefully selected journey of magic and high quality Progressive and Psychedelic Trance taken from today s wide spread range of Goa Trance. Featuring Artists like Avalon and Burn In Noise feat. Raja Ram, Laughing Buddha, Pixel and Vini Vici, Avalon and Mad Maxx, Alignments and Kenya Dewith, Shogan, Middle Mode, Reversed Logic, Djantrix, Lunatica and Hypatia, Talpa and Zyce, Ilai, Inner State, Ovnimoon, Champa. This CD is a perfect journey throughout our scene, including unreleased tracks from Producers like Profound, Side Winder vs Tenka, Continue. We like to welcome you to this outstanding release of Y.S.E.